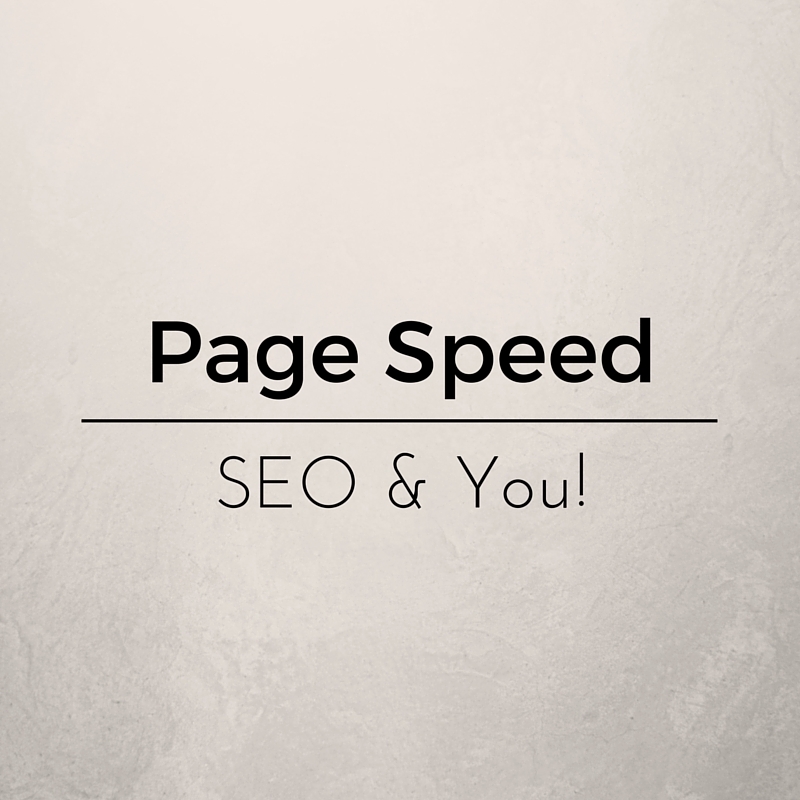 Page Speed SEO and You - SmackSmog! As part of our ongoing series of brief blog posts about SEO we are going to talk about website speed. One of the biggest mistakes that we see many of new or prospective clients commit is not being dedicated to having a speedy web site. Many of our clients tell us they want their websites to load quickly because they know that the website viewer won’t stick around for a slow loading site. For a while this wasn’t that big of a deal. Most competent web developers could create a site that loaded quick enough for a desktop and people were happy. This all changed with the advent of mobile technology. Suddenly everyone and their uncle became concerned about page load time and rightfully so. Information that came over the airwaves and via everyone’s data plans flowed into the public’s tablets and smartphones needed to be hyper optimized. and quick to load. You can be sure that as wearables (Apple Watch, Samsung Gear) become more popular, page speed will become more critical. Google saw this coming way before most and figured out that no one wanted to be served up a slow loading website until their respective smartphones if it was going to take too long to load. So on Friday, April 9th, 2010, Google made an announcement . It basically said that the SEO and Pagerank was going to be effected by Page Speed. Google made it clear that this was just one signal amongst many that would impact your Page Rank, but then that’s the topic that we are taking about. We suggest that you take the page speed very seriously. Let’s just take a moment and make sure that everyone in the room understands this. The speed at which your site loads is important. Google says it’s so important that they are including Pagespeed into their highly secretive algorithm that determines the Pagerank of your website. To put it quite simply, if your website doesn’t load quickly, then don’t expect it to be listed very high within Google. At this point you should be asking yourself what can you do about it! How can you ensure that your website loads as quickly as possible. We’ll proceed with some possible solutions for your consideration. My first bit of advice is to make sure that your website isn’t on a shared hosting plan. While very popular with small business and fledging startups because the costs are often quite a bit lower, we highly encourage you to avoid this. Shared server space is generally slower than dedicated servers and often experience lag and even sometimes downtime. I also encourage clients to budget for a site audit. A site audit allows us to look through the code and do our best to find opportunities to reduce the bloat that is often found within websites. Some cliens are surprised that they need to pay for this service, but as we often point out, you pay for a checkup when you visit the doctor. Why should your website be any different? Perhaps you’re saying, “I use WordPress because I don’t know how to code” what else can I do to help ensure that my website loads faster? One of my favorite tips is to check your file sizes of your images. Are they optimized correctly? Have you reduced the images to 72 dpi? Yes, yes I know some smarty pants is going to say that the dpi doesn’t matter and I’m going to say that yes it does because the average new or DIY web person isn’t going to prep the image and optimize its size correctly in which case, the average person would wish that they had just saved the image at 72dpi and left it at that. Then there is the obvious stuff. Avoid using .bmp’s and .tiff’s and use cool things like .png’s and .gif’s and use I’m old school so I still use jpegs. Keep it simple people. The universe will love you all the more for it! Another solutions is creating cache of your site. To put it simply that when you cache your site the files are saved for the next time that your server is hit. it reduces your web files (you know your html, etc) and so it makes your site load faster. One of the biggest solutions that you can implement is installing a Content Delivery Network or a CDN. A Content Delivery Network is is a system of servers that are spread around the nation, and the world. Content Delivery Networks deliver websites and other web applications to the end user during high peak times. These servers are spread around the nation and the globe to serve a fast reliable connection to the internet no matter where you are. The idea is that by having several nodes around North America and even the world, the nearest node will serve the the visitor the site. This makes your site fast and your site visitor happy. This list of things to do can go on and on but our final piece of advice is to review your plugins on your WordPress site. Plugins are updated quite often updated by their authors and when they are they need to be updated by the site administrator. When your site is updated (both plugins and WordPress master files) your site will operate more efficiently and will load faster. This is the master plan. Are you curious about your websites Page Speed? We suggest that you try using Google’s Page Speed Insights page. It’s free to use and it allows you to test your web sites Page Speed for free. Not only that but it makes suggestions on how to make the fast load faster as well. You should check it out.